1. An estimated 8.3 billion metric tons of plastics have been produced globally since 1950. 2. Less than 10% of plastic waste has been recycled; most remains in landfills or the environment. 3. An estimated 8 million metric tons of plastic waste enters the oceans each year, where it poses risks to marine animals and potentially human health. 4. Plastics do not decompose the way that natural materials do. Instead, they breaks down into tiny pieces, called microplastics, which can be eaten by marine animals. 5. 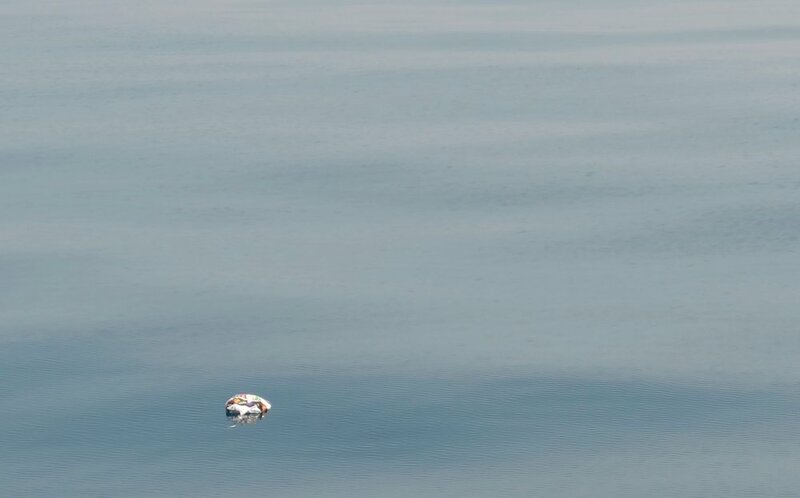 When floating plastics enter the ocean, they are carried by ocean surface currents moving in a circular manner around ocean basins, called gyres. Subtropical ocean gyres accumulate floating debris in large areas often referred to as "garbage patches". Garbage patches are not islands of trash, or floating landfills, but mainly consist of microplastics that are smaller than your pinky fingernail. 6. Most of the plastic debris in the oceans comes from land-based sources. Learn about the top 10 items found on beaches, many of which are items used only once before becoming trash. 1. Ask to skip the straw when you order a beverage, or bring your own reusable straw. If you're worried about keeping it clean, you can buy a brush designed to clean straws. 2. Bring and refill a reusable water bottle. Talk to your school, town, or place of business about installing water bottle refill stations. 3. Bring and use reusable grocery bags. Remember to put them by the door or back in your car after you unpack them so you don't forget them next time. 4. Bring and use reusable produce bags. Just like the bags you get at check-out, these bags are not easily recycled but can easily blow away. 5. Carry reusable eating utensils. Bring a fork and knife from your silverware drawer, or buy a reusable bamboo set. 6. Bring your own take-out boxes and leftover containers. Many take-out containers are made of polystyrene foam, which cannot be recycled and quickly breaks into small pieces that are difficult to contain. 7. Bring a reusable coffee mug. Sometimes you'll even get a discount on your drink. 8. Participate in a beach clean up, a fun way to make your community beautiful and to prevent beach trash from entering the ocean. The annual International Coastal Cleanup is on the third Saturday in September. 9. Buy your food in bulk or without packaging. Buy produce without plastic packaging, and bring containers for rice, beans, spices, nuts and anything else sold in bulk. 10. Talk to your friends about reducing their plastic footprint and pass along your favorite tips. We need to establish a new normal without unnecessary single-use plastics.